I can't quite wrap my head round this one. How do we know so much about the birth of Christ, but almost nothing about his growing up? As I see it, there were only a handful of people at the birth, Mary, Joseph, some shepherds and possibly the owner of the stable. That's been documented and detailed in the gospels in reasonable detail, so someone there must have provided details. If they realised that His birth was significant then I can understand the sharing of the facts of his birth, but if that was the case then why not more detail about His growing up? If they didn't realise until He started his ministry that he was the same Jesus, and then connected the stories together, then there wouldn't have been any real oral traditional stories of his birth. How was there such a detailed narrative about it? It doesn't make sense to me to document only the birth and then nothing until the ministry. I understand the way stories were handed down, and I understand that the gospels were written later, but I just can't reconcile the above. We need to realize that the Gospels are NOT modern biography, but theological writings showing how Jesus was God's NEXT ACT in the history of the redemption of Israel and the Gentiles. So the selection criteria is completely different because the QUESTIONS the intended audience raised were also different than modern biographies. Nativity stories are important because the it's critical for this God's next act that Jesus was born from the right family (descendant of David), from the right town, that he is fully man and fully God (compare with Greek myth of half God heroes), that his birth fulfilled prophecies, etc. Why does fulfilling prophecies matter? Prophecy by definition is a message from God. So if God promised something in a prophecy (which he DID a lot in Isaiah, Jeremiah, Ezekiel, Daniel), his character DEMANDS it to be delivered), and it's incumbent on the gospel writers to SHOW IT TO US ! Jesus's suffering and the meaning of his crucifixion and resurrection is also critical for this purpose, as well as his role in the new covenant as the new high priest (mediator), the second Adam (first fruit God's raising of the believers), and so much more. Imagine having to pack all of them into a manageable scroll / papyrus where there was no computer / copy machines. It's important to be brief, so each sentence is packed with meaning, and the literary quality of its composition is amazingly dense and full of deeper meaning and symbolism. Compared to this dense arrangement, modern biography is too redundant and wordy. Only later fanciful and curious people who need filler to satisfy their imagination started to come up with the apocryphal books, but those were NOT part of the apostolic tradition. They are more like historical novels, or worse, a device for promoting heretical non-apostolic teaching about Jesus (like the Gnostics). But going back to the original purpose for the Gospel, probably Jesus's experience in his teenage years are not relevant to convey the fulfillment of the prophecy and about God's next act in redemptive history. Of course I wish that the Gospels were 10 times as long to fill in the details. Oh, how I wished there were Internet and stack exchange Q&A forum like this to record Q&A with the apostles or even Jesus himself for posterity ! But we'll have to be satisfied with what we have and make the best out of it with the help of responsible Bible, literary, and history scholars. This answer is from the perspective of history and the Bible (whether divinely inspired or merely a message that humans wanted us to hear). 1 week old: male circumcision Brit Milah. This symbolizes the physical covenant between God and God's People. 12-13 years old: morally responsible for one's actions Bar Mitzvah or Bat Mitzvah. Past this age, people are no longer to be treated as children, but as adults. 30 years old: qualified for leadership. Behaviour and attitudes can change significantly before 30, but are relatively stable after that. E.g. Priests had to be at least 30 years old (Numbers 4:3), Joseph began running Egypt (Genesis 41:41,46), and David was anointed King of Israel (2Samuel 5:3). The Gospels explicitly mention Jesus's birth (Luke 2:7), his circumcision (Luke 2:21), his unaccompanied visit to the Temple (Luke 2:46), and the beginning of his ministry. Jesus was both Priest and King, so 30 years old is a doubly appropriate age. Then he went down to Nazareth with [his parents] and was obedient to them. But his mother treasured all these things in her heart. And Jesus grew in wisdom and stature, and in favor with God and man. I am in no way an expert on this subject, but there are apocryphal books on the childhood of Jesus. The question might be better termed as to why there is NOT a canonical version of Jesus's childhood. The Infancy Gospel of Jesus and the Syrian Infancy Gospel are two examples of Apocryphal books on the childhood of Jesus. There is also some interesting tie-in to the Quran and Zoroastrianism in those books. The gospel of John seems to indicate that Jesus' signs or miracles began when He started His ministry. Approximate age 30. If this is the case, then I believe this is why no one would have recorded much of his earlier life. Jn 2:11 This beginning of His signs Jesus did in Cana of Galilee, and manifested His glory, and His disciples believed in Him. Not the answer you're looking for? 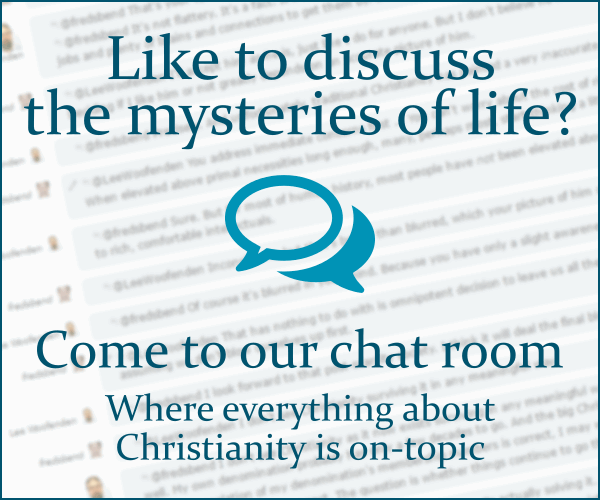 Browse other questions tagged life-of-jesus bible birth-of-jesus or ask your own question. Did Satan really not understand God's salvation plan? Couldn't it be dangerous to pray to Jesus if he may be a man? Was the virgin conception of Jesus known to the people at the time? Did Jesus have a divine biological Father? Why are wise men common in contemporary [American] nativity scenes?